Kindle edition: $9.99; paperback $14.99; color edition $30.82. Stray: A Shelter Veterinarian’s Reflection on Triumph & Tragedy, by Dena Mangiamele, is only the third fully realistic book about animal sheltering to come my way in more than half a century of reading everything I could about the field. None of the most realistic trio were written by No Kill Advocacy Center founder Nathan Winograd, whose own actual shelter experience is surprisingly limited. The three realistic classics of the field, besides Stray, are The Animal Shelter, by Patricia Curtis (1984), written to introduce young would-be shelter workers to what they will encounter, and The Ripple Effect, by Marcy Eckhardt (2011), a novelized account of many of the same transitions in sheltering covered by Dena Mangiamele, but at a much smaller shelter serving a smaller city. Though Stray is a veterinary memoir, it has little but episodic structure in common with the genre popularized by the late Alf Wright (1916-1995) in the series upon which the BBC television series All Creatures Great & Small was based. Whereas vets in Alf Wright’s era were mostly engaged in private practice, Mangiamele earned her veterinary credentials at a time when mostly newly ordained vets––as today––took junior positions in group practices, joined veterinary chains such as Banfield or VCA, or otherwise found corporate employment. Dena Mangiamele with her Doberman adopted from a Los Angeles shelter. “My career as a shelter veterinarian started in the mid-to-late 1990s when animal sheltering agencies were at the cusp of progress,” Mangiamele explains in her extended introduction. “It would still take years (some agencies would take another decade) to leave behind the old ways of animal care and housing,” developed half a century earlier when the chief job of animal shelters was rabies control, “fully recognize the importance of the human/animal bond, join the technical revolution, and change the method of euthanasia to use of injectable drugs. “I wrote this book,” Mangiamele says, “because I feel it is important to document this time period in animal sheltering,” which “came before the Internet” for all but a handful of pioneering semi-geeks such as Mel Morse (1906-1986). Morse, later president of the Humane Society of the U.S. and cofounder of the Helen Woodward Animal Center near San Diego, began tracking animal intakes by computer at the Marin County Humane Society in 1959, 25 years before Chameleon produced the first dedicated shelter tracking software. “Those of us who worked in animal control at this time (1995-2000), under conditions that many today would say are unbelieveable and unacceptable,” Mangiamele recalls, were “trailblazers for many [now] common procedures like early-age spay/neuter and microchipping,” as well as for tracking shelter intakes and admissions through use of computer software, posting photos of animals available for reclaim and adoption, and exchanging animals with other shelters to increase their adoption prospects. Only one other animal control jurisdiction in the U.S., that of adjacent Los Angeles County, includes both as many shelters and as large a community footprint. Much of Stray introduces the basic realities of animal sheltering, beginning by explaining that not all animal shelters do the same job, under the same stresses and for the same clientele. 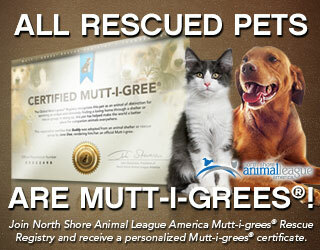 “Many people think there is only one type of animal shelter. Actually there are two main types: animal control agencies and humane societies,” Mangiamele defines. “What is the difference between these two? A humane society is a private entity that does not report to the local governing body, while an animal control agency is operated and funded by the local city or county government. Humane societies create their own policies and procedures that govern which animals they accept from the public and bring into their facilities for adoption. “Because their existence and operation depends on fundraising and donations,” the major stress for humane society directors being to raise enough money from the public to keep their doors open, “they generally choose to accept animals into their facility who are highly adoptable, including the cutest puppies/kittens and healthy, non-aggressive animals. “Humane societies reserve the right to turn away an animal,” Mangiamele alleges, which has become generally true since the pressure on humane societies to go “no kill” has all but squeezed authentic open-admission humane societies out of existence, “and those unwanted animals are sent down the street to the local animal control agency, which is mandated by law to house every stray animal who is brought to their facility. “This is why you will see sick and injured animals at animal control,” Mangiamele continues. “This is why you will see a large concentration of pit bulls and pit bull crosses at animal control shelters,” about five times as many on average as at most no-kill shelters, according to ANIMALS 24-7 surveys of shelter animal population. “This is why you will see much larger numbers of animals housed at animal control shelters, and higher euthanasia numbers. Mangiamele does not mention being a longtime vegan, founder of a “vegan raw snack” company which sells to Whole Foods Markets, a credential that would qualify her as “an extreme animal rights person” to much of the public. Matters came to a head for Mangiamele when she led the animal control response to what was then believed to be the largest cat-hoarding case ever: more than 600 cats crammed into a suburban house of ordinary size, along with two human residents. Unfortunately, many cases just as big, or bigger, have since come to light. After doing her preliminary inspection, Mangiamele writes, during which the first of dozens of dead or dying cats were removed from the filthy premises, “I looked up and a few feet from the house down the sidewalk, I saw 5-6 people I recognized as local animal activists. I was sure they were there in support of us removing the animals from the awful conditions. Dena Mangiamele early in her Los Angeles tenure. Euthanair machines like this one, introduced by then-Los Angeles Animal Control Department chief Richard Bonner in 1950, came to be the most widely used killing method in animal shelters by 1970, but upon becoming recognized as inhumane were wholly abandoned by mid-1985. Mangiamele, like many animal control shelter veterans, soon became annoyed by the use of the word ‘rescue’ by people who “pull” the most attractive, adoptable animals from animal control shelters, essentially for resale to adopters who don’t care to visit a shelter where animals not chosen may be killed. 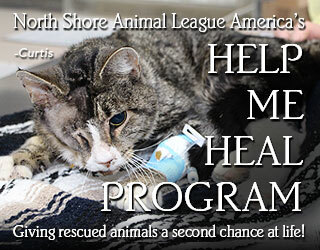 “The foundation of many rescue groups is that they ‘rescue’ animals from the shelter. That insinuates that the animal shelter is so horrible that animals must be rescued from it,” Mangiamele fumes. 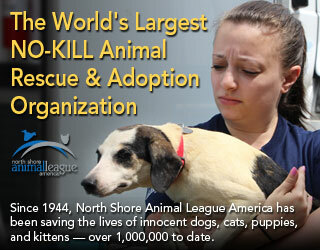 In fairness, however, use of the term “rescue” to describe the work of volunteers who help to rehome shelter animals goes back to the time, preceding Mangiamele’s involvement, when more than 90% of the dogs and cats admitted to animal control shelters were killed within 72 hours or less. Though it may now be anachronistic, it persists just as the term “rabies pole” persists to describe what are more accurately called “catch poles,” in an era when most shelter workers have never seen a rabid dog or cat. Dena Mangiamele, her husband, who is also a vet, and their dogs. Mangiamele illustrates extensive discussions of animal control procedures with anecdotes from her Los Angeles experience, including several from each of the six Los Angeles shelters. Even within a single animal control agency, nominally all following the same procedural “book,” Mangiamele observes, each shelter tends to take on individual characteristics reflective of the surrounding community. For example, the staff may become predominantly of African, Hispanic, Asian, or European ancestry, depending not so much on who is hired as on who stays on the job. People working close to home, family, and friends tend to last longer. Some neighborhoods have more people with the time and affluence to become active volunteers and members of fundraising auxiliaries. Clockwise from top: Tony Curtis, Gretchen Wyler, Jacqueline Bissett. Shelters in dangerous areas, where gang members may try to steal drugs or pit bulls, tend to emphasize security more than shelters in quieter locations, which are more likely to be surrounded by trees and grass. The shelters closest to Hollywood attracted stars, among whom Mangiamele distinguishes as particularly helpful the actors Tony Curtis, Jacqueline Bissett, and the late Gretchen Wyler (1933-2007), founder of the Ark Trust, whose Genesis Awards program honoring mass media for attention to animal issues is now managed by the Humane Society of the U.S. Many of the incidents and individuals Mangiamele describes are slightly fictionalized, to avoid incriminating the guilty as we say in journalism, but quite recognizable from the perspective of having reported on the same events back when they happened. Chapter 10, for instance, subtitled “Pal the Pug,” recounts one of the many episodes of urban legend mixed with mass hysteria that resulted from an ordinary instance of pet conflict with wildlife. In this case, a coyote tried to prey upon a pug, who got away with severe injuries that a veterinarian who should have known better misattributed to a left-handed human sadist. A local humane society then played up the attack to attract donations. Asked to help amplify the absurd claims, I explained instead that the injuries were inflicted by a wild animal, and why, as did Mangiamele and her staff. All of us were accused of Satanism and worse, until a security video captured a similar attack on a dog of similar size by a coyote in the same neighborhood, resulting in similar injuries to the dog. Dena Mangiamele & pit bull. Now doing mostly veterinary consulting in dogfighting and cruelty cases, Mangiamele discusses pit bulls and dogfighting in three separate chapters, including a particularly grim chapter about the necropsy she performed on a fighting dog who had been burned alive. But Mangiamele is on the mark in concluding of pit bulls that, “From all I have seen at the shelters, all the dangerous dog incidents I have reviewed, and all of the dogfighting cases I have worked, it seems to me that this particular breed doesn’t ‘show its true colors’ of temperament until around two years of age. The stage of adolescence (less than two years) is the most common age group you will find at shelters. I believe it is difficult to predict,” Mangiamele says, “how such an animal will ultimately behave and respond to potentially dangerous situations. “I am not saying these animals shouldn’t be adopted,” Mangiamele hedges. “I am saying we need to be fully aware of the possibility that circumstances may change once the animal becomes an adult. That means paying attention to warning signs,” including the hyper-reactive behavior and tendencies to fight among litter mates that are often evident in pit bulls soon after weaning. Your book reviews have always been some of my favorite content. I can’t wait to check out this one.